This is a terrible thing to blog about, but it is how I feel. I am well and truly fed up with the situation at Leeds United. I would go as far to say that I am devastated. During my years as a football fan, I have seen my teams relegated more times than is really fair – Leeds twice, Bath City once. The pain I am experiencing right now, is right up there with those three relegations. Leeds have been out of the Premier League for 15 years now. That is the majority of my time as a supporter. Considering Leeds spent much of the 1980s in the lower division, they have been out of the top flight for over half my life. Things seemed to be different this season. Leeds looked good. Very good, in fact. Much like England in the 2018 World Cup, this was totally unexpected. Granted, Leeds had changed their manager, but the vast majority of the squad was the players who performed so terribly the previous season. 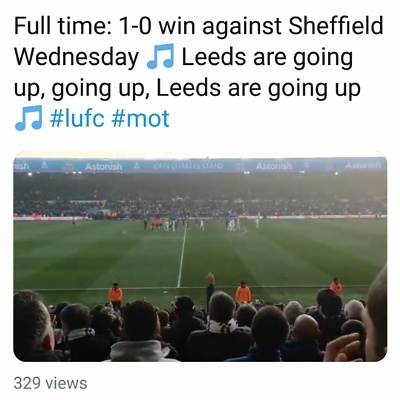 I was therefore extremely surprised and equally delighted when Leeds started winning game after game, finding themselves safely established in the automatic promotion places. Fans and the media eagerly talked up the return of Leeds United and how, after a decade and a half, they were to return to the Premier League. Like all Leeds supporters, I have been left upset and hurt over the years, due to relegations, failed promotions and more embarrassing defeats than I can remember. Right to blog and tweet that we would bottle it. Right to bet agaist my own team. Right to be embarrassed by the fans who prematurely sung “Leeds are going up”, after clinically beating teams. … then I’ll wake up. It’ll be Tuesday morning. I’ll be running late for work and Leeds will have lost every one of their two games over the Easter break. I hoped and prayed things would be different this time. When I say “prayed”, I literally did. During a recent game against Birmingham, I asked God to allow Leeds to score. Evidence that, when it comes to scoring goals, I have more faith in the big man in the sky, than the Leeds United strikeforce. Leeds didnt score and God didn’t answer my prayers. 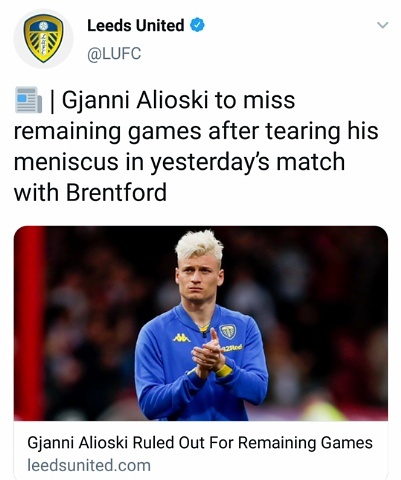 He must have been busy with more important requests from the sick and dying… although there is an argument that Leeds themselves are a little poorly. All I want is for once – just once – for Leeds to see the job through. Start the season well, end the season well and friggin’ win something! I would sell a kidney for success. I’m sure most Leeds fans would. There would be enough organs to clear the entire NHS transplant waiting list. The abysmal second half to the season, where fans began to panic, came to a head this weekend. A loss at home to lowly Wigan, who had unfairly been reduced to 10 men; followed by an Easter Monday debacle – beaten by Brentford, another team in the lower reaches of the division, who, like Wigan, overturned Leeds on merit. Leeds will now enter the play offs. I’ve experienced Leeds in the play offs on three previous occasions. They lost the lot. I can’t wait to see them lose a fourth. If by a miracle – and I mean a miracle – Leeds find themselves promoted, at the end of May; I’ll be selling my right kidney on eBay. It’ll carry a reserve price of £12.50. When I die, I want to be buried. 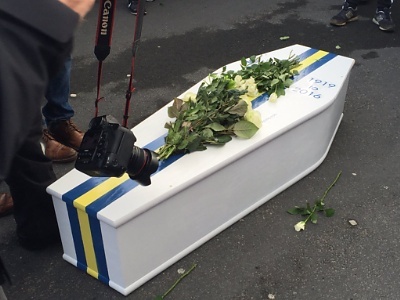 I want the Leeds United squad to lower my coffin into the ground. That way, the club will be able to let me down one last time. You know when you get over excited too early? Think the job is finished and the house has been built, before the roof has been put on? What about flying a plane over the football ground during a game, to celebrate a premature promotion? This is exactly why I have been saying all season, that automatic promotion is far from guaranteed. OK, I may have even said Leeds won’t get promoted at all. Any of my fellow Leeds fans, who have bought champagne, in order to celebrate promotion, should return the bottles to Asda, for a refund. Unless any supporters have already drank the champers – it certainly sounds like many have! Despite being teetotal, I’m not saying don’t drink alcohol – why not swap the champagne for something more appropriate – like Fosters, Stella, Special Brew, or any beverage drank by tramps. Anything to drown your sorrows. Here’s a terrifying thought. By 7pm on Easter Monday, Leeds United could be a Premier League side. Of course, as we’re talking about Leeds United, they won’t be promoted on Monday. In fact, they probably won’t get promoted at all.